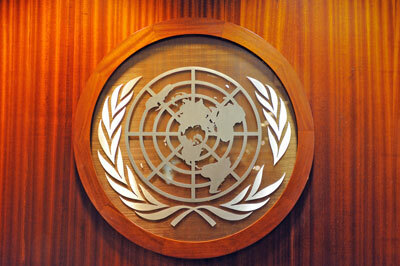 The United Nations Visitors’ Lobby and Visitor Centre are open to the public and there is no admission fee. If you want to see areas of the headquarters beyond the lobby and Visitor Centre, you’ll need to take a guided tour, for which there is a fee (see details below). 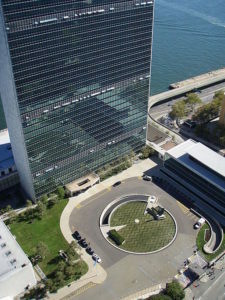 The U.N. Headquarters is located in the Turrle Bay neighborhood of Manhattan, on the East River. The address is 760 United Nations Plaza (see map). The visitors’ entrance is located at 46th Street and 1st Avenue. However, before entering there, visitors must acquire a U.N. Security Pass from the Visitors Check-in Office at 801 First Avenue (corner of 1st Avenue and 45th Street). Everyone 18 years or older must show a government-issued photo ID in order to receive a pass. Visit the U.N. security page to see a list of items that you’re not allowed to bring into the U.N. Headquarters. There are exhibits available for viewing by the general public in the Visitors’ Lobby. See information on current exhibits at the U.N. Exhibits website. Read U.N. Headquarter visitor reviews at TripAdvisor. By visiting the United Nations building, you’ll do a little international travelling without ever leaving New York City. The United Nations Headquarters is actually an international territory that belongs to the member states of the United Nations. Guided tours of the United Nations Headquarters are available for a fee ($22 for adults, $15 for students, seniors, and children). Note that children under the age of five are not permitted on the tour. You can book your spot on a tour online in advance, or a limited number of same-day tour tickets may be available on-site. On the tour, you’ll learn about the work of the United Nations and United Nations Organizations. If official meetings are not in session, you’ll be able to see the General Assembly Hall, the Security Council Chamber, the Trusteeship Council Chamber, and the Economic and Social Council Chamber. You’ll also see the 30 articles of the Universal Declaration of Human Rights displayed on panels by Brazilian artist Octavio Roth, artifacts from the nuclear explosions in Nagasaki and Hiroshima, and works of art donated to the United Nations by member states. More information. Here’s a good post about the U.N. tour experience by the ‘Today’s the Day I’ blog. The Visitor Centre is located in the basement of the General Assembly Building and is where you’ll find the U.N. Post Office, U.N. Bookshop, U.N. Gift Shop and counters for UNICEF, WFUNA, Women’s Guild, and UNESCO. All are free to visit and open to the public. There are several shops located within the UN Visitor Centre. The U.N. Bookshop carries a variety of international publications for children and adults, plus posters, music, postcards, toys, and U.N. logo gifts and souvenirs. The U.N. Gift Centre sells a variety of things from UN member countries. You’ll find traditional handmade items as well as U.N. and NYC souvenirs at the Gift Centre. Several other U.N. organizations have counters in the visitors center at which you’ll find information and items for sale. The U.N. operates it’s own post office and issues special U.N. stamps to be used in mailing items from within the headquarters. To commemorate your visit to this unique space, you can purchase a special card and U.N. stamp at the gift shop and mail it from the official U.N. post office. There is a cafe in the Visitor Centre that serves up a variety of international food, including sushi, paninis, hers, and baguette sandwiches. It takes a little pre-planning to dining in the Delegates Dining Room, but if you plan ahead and make your reservations ahead of time, you could find yourself enjoying lunch alongside ambassadors and international dignitaries. The catch is that the Dining Room does not accept walk-ins. 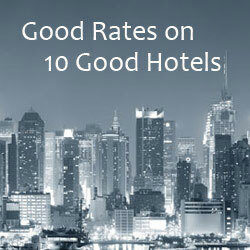 You must make a reservation as least one day in advance. Also, there is a business dress code for visitors dining in the Delegates Dining Room. Jackets are required for the men. No jeans, shorts, sneakers, or flip-flops allowed. 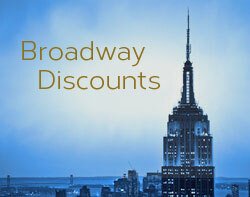 Visit the Delegates Dining Room reservations website for details. Lunch is a 3 course meal with a menu changes with the seasons. Price is $39.99, excluding beverages, gratuities, and tax. The Visitors’ Lobby and Visitor Centre are open Monday through Friday from 9:00 a.m. to 4:30 p.m. and on Saturdays & Sundays from 10:00 a.m. to 4:30 p.m. (there are no weekend hours in January and February). The headquarters and Visitor Centre are closed on major holidays. Please visit the UN Headquarters website to see a list of closure dates and to confirm hours of operation. There is no admission fee to visit the U.N. Headquarters Visitors Lobby or Visitors Centre.